Don't miss this 1.5 story charmer in Cape Girardeau that has only had one owner. Inside you will find 4 bedrooms with a possible 5th as well as 3 full baths. Master bedroom has vaulted ceiling and all bedrooms have ceiling fans. Partially finished basement and unfinished area has plenty of storage with built in shelving. Outdoor space features corner lot, mature trees with plenty of shade, a equipment shed as well as a 10x10 deck for those nice days and barbecues. 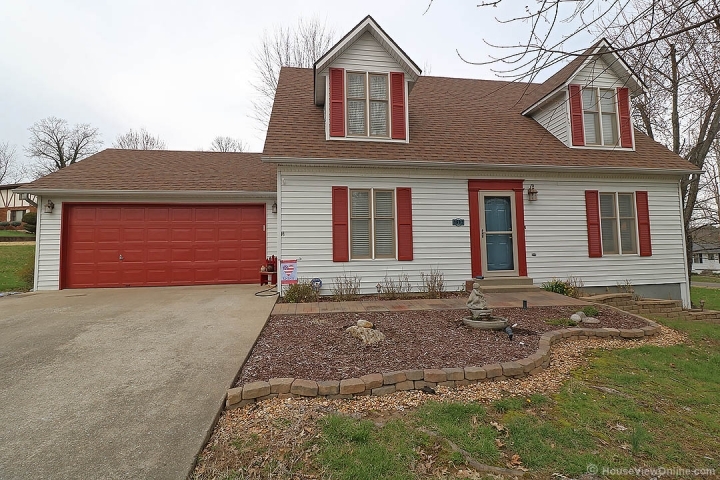 Move in Ready Home recently updated with fresh paint, new carpet in the upper level and new electric stove/range as well as new heat/air system with a programmable thermostat. Call today to make an appointment to see, won't last long.